This story was co-published with Essence magazine. It is not subject to our Creative Commons license. Last October, Aireana and her boyfriend were driving through Oakland when a man on the street opened fire on their car. Her two children, ages 6 and 1, were in the backseat. Aireana, who asked to be identified only by her first name, remembers feeling something slam into her jaw and hearing a sound like a firecracker popping in her head. Her boyfriend hit the accelerator and swerved down the street. He and Aireana turned at the same moment to check on the kids. They were safe. Then her boyfriend looked at her and saw blood spurting from her neck. "Oh, my God," he said, panicking, and crashed into a parked car. In the shock after the crash, Aireana had only one coherent thought: I cannot die in front of my kids. They cannot see me die. She unbuckled her seat belt and pushed herself out of the car. As she stood, she felt dizzy and closed her eyes. But the thought of her children propelled her forward. They can't see my body lying here dead. Still dazed, she walked away from the car. She could hear her daughter screaming behind her, "My mom's dying!" "You're so lucky," her friends kept telling her. "Why are you still so sad? You're okay—you're alive." But Aireana couldn't stop thinking about the shooting. She felt guilty, as if it were her fault that she had been hit. Why hadn't she lifted her arm to block the bullet? Why hadn't she ducked? The shooting played over and over in her dreams. Sometimes, reliving it, she remembered to duck, and then the bullet passed over her and hit one of her children. She'd wake up in a panic, soaked in sweat. In the aftermath of the shooting, she struggled to pay her bills. The phone company cut off her cell phone, but she didn't care. She didn't want to talk to anyone. Instead, she spent most of the day asleep. When she became tired of lying in bed, she'd curl up on the living room floor. In America, violent crime is down significantly since 1993, when the nation's gun homicide rate hit its peak. But there are still neighborhoods in cities like Oakland, Detroit, New Orleans, and Newark, New Jersey, where shootings are a constant occurrence and where the per capita murder rates are drastically higher than the restof the country. Some 3,500 American troops were killed during the eight-year war in Iraq. Within the same time period, 3,113 people were killed onthe streets of Philadelphia. According to FBI data, between 2002 and 2012 Chicago lost more than 5,000 people to homicide—that's nearly three times the number of Americans killed in action in Afghanistan. Over the past 20 years, medical researchers have found new ways to quantify the effects of the relentless violence on America's inner cities. They surveyed residents who had been exposed to violence in cities such as Detroit and Baltimore and noticed symptoms of post-traumatic stress disorder (PTSD): nightmares, obsessive thoughts, a constant sense of danger. In a series of federally funded studies in Atlanta, researchers interviewed more than 8,000 inner city residents, most of them African-American. Two thirds of respondents said they had been violently attacked at some point in their lives. Half knew someone who had been murdered. Of the women interviewed, a third had been sexually assaulted. Roughly 30 percent of respondents had had symptoms consistent with PTSD—a rate as high or higher than that of veterans of wars in Vietnam, Iraq and Afghanistan. Experts are only now beginning to trace the effects of untreated PTSD on neighborhoods that are already struggling with unemployment, poverty and the devastating impact of the war on drugs. Women—who are twice as likely as men to develop PTSD, according to the National Center for Post-Traumatic Stress Disorder—are more likely to show signs of anxiety and depression and to avoid places that remind them of the trauma. In children, PTSD symptoms can sometimes be misdiagnosed as attention deficit hyperactivity disorder (ADHD). Kids with PTSD may compulsively repeat some part of the trauma while playing games or drawing, have trouble in their relationships with family members, and struggle in school. "School districts are trying to educate kids whose brains are not working the way they should be working because of trauma," says Marleen Wong, Ph.D., the former director of mental health services, crisis intervention, and suicide prevention for the Los Angeles Unified School District. Men with PTSD are more likely to have trouble controlling their anger, and to try to repress their trauma symptoms with alcohol or drugs. Though most people with post-traumatic stress are not violent, PTSD is also associated with an increased risk of aggression and violent behavior, including domestic violence. The Atlanta researchers found that civilians they interviewed who had PTSD were more likely to have been charged with a violent crime and incarcerated than other people of similar backgrounds without PTSD—but the cause and effect behind this wasn't clear. For some people, PTSD symptoms may have contributed to their involvement in the criminal justice system, while others may have developed PTSD later. "Neglect of civilian PTSD as a public health concern may be compromising public safety," the researchers wrote. Despite the growing evidence of PTSD in civilians, little is being done to address the problem. Hospital trauma centers often provide adequate care for physical wounds, but do almost nothing to help patients cope with the mental and emotional aftermath of trauma. A 2014 ProPublica survey of 21 trauma centers in the nation's most violent cities found that only three—in New Orleans, Detroit and Richmond—routinely screened victims of violence for the disorder. Trauma surgeons said they were aware of the burden of post-traumatic stress on their patients, but it was hard to get hospitals to spend money on new programs or staff to deal with PTSD. Even Chicago's Cook County Hospital, where researchers found that 43 percent of injured patients showed signs of the condition, has struggled to raise funds to support a new program. Doctors said they also worried about the scarcity of mental health providers, especially for low-income patients without insurance. Some said they were reluctant to screen patients for PTSD because they could not be sure they would get treatment. What's more, many doctors and nurses assume that shooting victims—especially young Black men—are responsible for what happened to them, says John Porter, M.D., a trauma surgeon in Jackson, Mississippi, which has a higher per capita homicide rate than Chicago's. The line of thinking is It's their own fault, so who cares? We'll save their life, but who cares? But post-traumatic stress doesn't distinguish between "innocent" and "not innocent" victims. Researchers have found gang members are just as likely to suffer from post- traumatic stress as anyone else. The burden of post-traumatic stress on low-income communities of color gets very little attention. What public recognition it does receive is often sensationalized: A TV reporter apologized this spring after a segment on young people dealing with trauma in Oakland referred to PTSD as " hood disease." 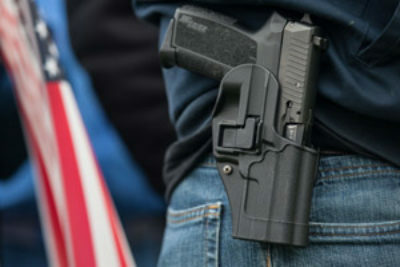 "Someone in the community has to stand up and say, 'Because of all the gun violence, we have a lot of traumatized people—and it's not just the people who are being shot and shot at, it's the people who are witnessing it, the vicarious trauma,'" says Arthur C. Evans, Jr., Ph.D., the commissioner of Philadelphia's Department of Behavioral Health and Intellectual Disability Services. With the support of Mayor Michael Nutter, Evans has pushed Philadelphia to treat trauma as a major public health issue and to develop a comprehensive approach to PTSD. Over the past eight years, city officials have worked with hospitals, community mental health clinics, pediatricians, schoolteachers and police officers to increase awareness of the disorder and make sure residents are connected with treatment professionals. "We have to stop telling our kids they just have to live with this," Evans says. The city has paid to train local therapists in evidence-based PTSD treatments and has launched a Web site—healthymindsphilly.org, which allows people to screen themselves for the symptoms of PTSD anonymously—as a way of reaching people who might be reluctant to visit a mental health clinic. Philly has also partnered with local faith groups to train leaders about mental health resources, because "in the African-American community, people often go to their faith leaders before they will come to a treatment professional," Evans says. Philadelphia's police department is educating its officers about mental health and the effects of trauma. "People who have untreated trauma are highly reactive, and it doesn't take much to set them off," Evans says. Crisis intervention training helps officers discern between someone who is being obstinate and someone who "might have some other issues that are driving the behavior," Evans says. The training also helps officers learn how to de-escalate a situation, rather than react with force. Philadelphia's broad approach to PTSD includes a technique that's already being tried in other cities: reaching out to victims of violence in the immediate aftermath of a shooting and bringing trauma education right to their hospital bedsides. When Aireana was lying in Oakland's Highland Hospital last fall with her jaw wired shut, one of her visitors was Rafael Vasquez, an intervention specialist with Youth Alive!, the nonprofit group that founded the nation's first hospital-based violence intervention program in 1994. Tall and solidly built, Vasquez sometimes has to reassure patients he's not an undercover cop. His goal is to ensure that victims of violence stay safe after they leave the hospital and that they never come back under similar circumstances. Over the winter, Youth Alive! 's licensed marriage and family therapist, Nicky MacCallum, visited Aireana at home to conduct therapy with her daughter. For people who have grown up in violent neighborhoods, the traditional 50-minute therapy session is not always right for them. "Many times young people would walk out not having connected with the therapists, not feeling they could relate to them," Vasquez says. "They were overwhelmed by the whole experience." MacCallum has held sessions in coffee shops and parking lots and even on basketball courts while clients shot hoops. By bringing therapy out of the clinic and into the community, Youth Alive! has seen an increase in the number of patients engaged in active therapy: from about 5 percent of its clients to 35 percent. MacCallum taught Aireana's 6-year-old how to calm herself down with deep belly breaths. She talked to the girl about trauma in age-appropriate ways, asking if she ever felt like a turtle, hiding in her shell, or a prickly porcupine. Sometimes MacCallum and Aireana's daughter would sit on the living room floor and draw together as a way to express emotions difficult to put into words. Aireana started by sitting off to one side and watching the sessions. When the therapist told her, "Adults can draw too," she then picked up a marker herself. This led to Aireana finally sitting down with MacCallum for a session of her own. They started by talking through a list of trauma symptoms: sleep problems, anxiety, fear of going outside. "I've got that," Aireana remembers saying. "That too." MacCallum diagnosed Aireana with PTSD. "Nicky helped me," Aireana says. "She was the first person I actually talked to who believed it was real, that my feelings were real." MacCallum and other therapists say PTSD is the best diagnosis they can give in these instances—but that it's not a perfect fit. For clients who live in violent neighborhoods, the trauma that they're dealing with isn't really "post." "People in our community are constantly retraumatized," MacCallum says. The street where Aireana was shot was only minutes away from the place where she had witnessed her first drive-by shooting when she was 8. She had been at a block party near her aunt's house in East Oakland and thought she heard fireworks. She has a vivid memory of what she found instead: a car, in the middle of the road, with the driver slumped over, already dead, and blood running out of the car. A few weeks after Aireana came home from the hospital last winter, a young man was murdered on the street in front of her house. She remembers seeing his last heaving breaths and his friends yelling and no one around to help. She broke down. This is happening all over again, she thought. There's no Department of Veterans Affairs to coordinate care for Americans repeatedly exposed to violence and trauma in their own neighborhoods. One of the first steps in addressing community PTSD, says Evans, who is leading Philadelphia's trauma response, is to "get people to come around the table. Get a few mental health professionals, a few pastors and a few human services people who are seeing the impact of this to come together and have a conversation. That's what we did." Community members who want to learn how they can help loved ones struggling with PTSD or other mental health issues can sign up for Mental Health First Aid, an eight-hour course run by the National Council for Behavioral Health that can also assist community groups with setting up their own training programs. The National Center for Post-Traumatic Stress Disorder and the National Child Traumatic Stress Network also offer resources for PTSD caused by community violence. 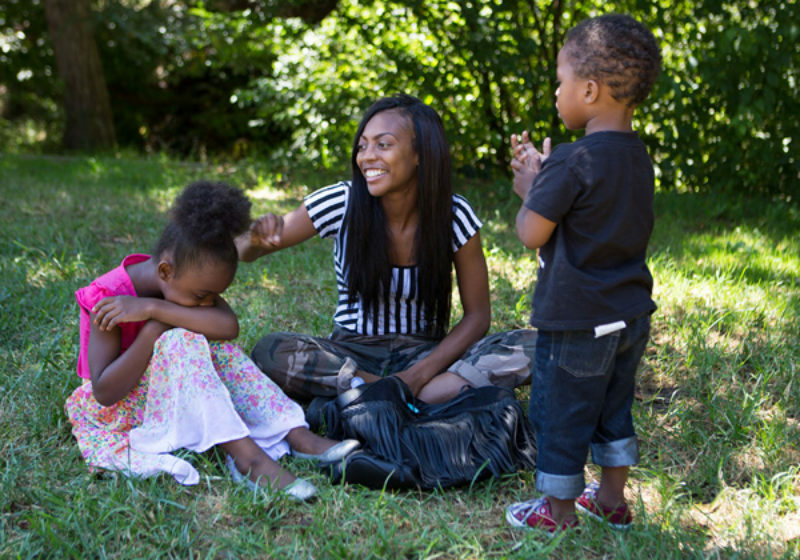 Over the summer in Oakland, Aireana's children were terrified by the sound of fireworks. They kept thinking they were hearing gunshots. This past Fourth of July, Aireana decided she would try to help her kids adjust to the sound, rather than shutting it out. As her neighbors set off firecrackers in the street, she kept her kids at a distance. She pointed to the lights: "That one's cool." A purple explosion: "Oooh, nice." Gradually, they walked closer. Later, she gave her kids sparklers and watched them run around making glowing scribbles in the dark. She had always loved fireworks. It was good to see her kids not being afraid and enjoying them, too. Does your local hospital help victims of violence find treatment for PTSD? See the results of ProPublica's 21-city survey, and read our investigation: The PTSD Crisis That's Being Ignored: Americans Wounded in Their Own Neighborhoods. You can also read more of ProPublica's coverage on guns in the United States, including why we don't know how many people are shot each year in America.